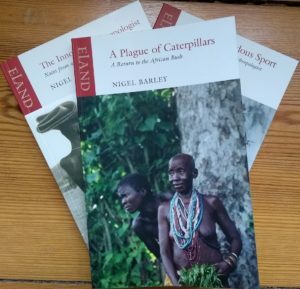 Nigel Barley returns to Cameroon in this hilarious follow up to The Innocent Anthropologist. “Returns” is a bit of a misnomer. In truth, he’d only just left. 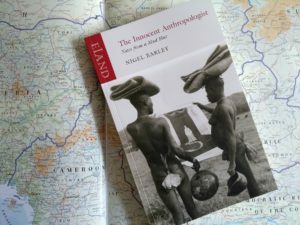 Nigel Barley was a rather unhappy “desk anthropologist” at a British university. His fieldwork-hardened older colleagues never stopped reminding him of this, because back in their day, it wasn’t enough to camp out in a library cordoned off by stacks of journals. You had to get out and live with the natives. I’ve had a few readers ask me about the prehistoric rock art sites discovered on our recent Chad-Tibesti Expedition. The rock art we found dates back to the Holocene, between 8,000 and 6,000 years ago, when the Sahara was fertile. It was created by the cattle herders and hunter gatherers who inhabited the area during its brief wet interlude. I’ve put together some video for you of my recent expedition to one of the Sahara’s most remote corners. Only one previous expedition has reached the Ouri plain in Chad’s Tibesti mountains. That was about 15 years ago, and given the difficulties, I can’t see anyone else trying it anytime soon. Don’t Eat This at Home — Expedition Food EXPOSED! Thanks for all your great feedback on my recent Tibesti – Chad expedition. I’m glad you’ve enjoyed the story, and the outstanding photos by Tomoko Goto. I’m often asked what the food is like on a deep desert expedition. It’s been over a month since I posted a new blog. But hey, I’ve been in one of world’s least visited countries — and in an area that’s considered incredibly remote, even by Sahara standards. I’m gearing up for a big expedition to the Tibesti mountains in northern Chad. And I’ve been going through my library of Sahara books as the anticipation builds. Andras Zboray is one of those rare kindred spirits you sometimes bump into on the road. Someone with a shared love of the desert, a taste for remote places, and a drive to see what’s up around the next bend. Fifty kilometers east of the Nile — a camel or donkey’s journey in ancient times — sits one of the largest ruined sites in Sudan. Today it’s an area of wild and remote desert. 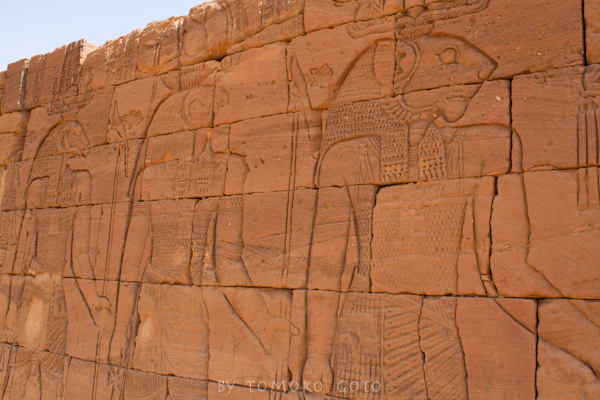 But the Wadi Aeateib was once fertile and well watered, and this was the site of an important city in the Kingdom of Meroe. Everyone knows the pyramids of Egypt. 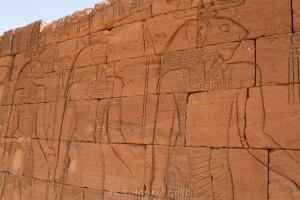 But few seem aware that there are even more pyramids farther up the Nile in Sudan. Unlike the more familiar Egyptian style pyramids, those found in Sudan are tall, narrow structures with steeper sides and a smaller base. Most have a rectangular room attached to one side which acts as an offering temple for the deceased whose body is entombed beneath the giant stone memorial.